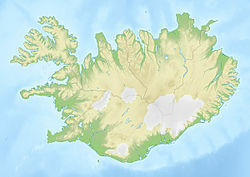 Bláskógabyggð is a municipality located in western Iceland. Its major settlements are Laugarás and Laugarvatn. The municipality was formed in 2002 after the merger of Laugardalshreppur, Biskupstungnahreppur and Þingvallahreppur. Blesi, geothermal area of Geysir. This page was last edited on 11 July 2017, at 10:38 (UTC).